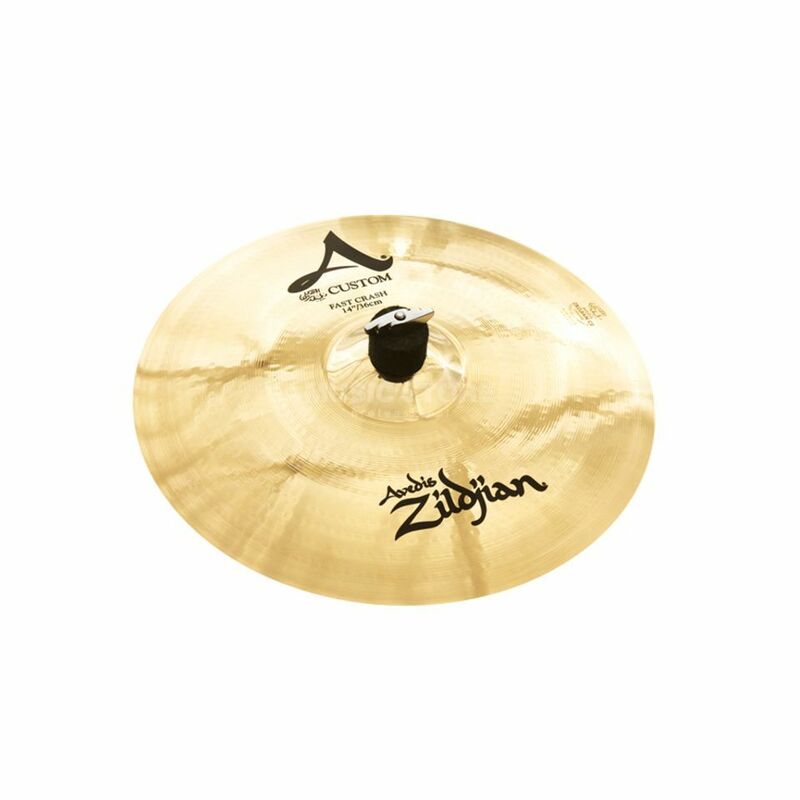 The Zildjian A-Custom Fast Crash Cymbal is a 14" crash cymbal made of B20 bronze alloy, with a hand hammered construction and brilliant finish. Developed with the assistance of drumming icon Vinnie Colaiuta, A Customs utilise radical rotary hammering techniques, thin to medium weights and a striking brilliant finish for a crisp, sweet, sophisticated A Zildjian sound. Not too dark, not too bright - cymbals that are just right for modern music. The A-Custom Fast Crash produces a bright, airy and responsive crash sound with an extremely short decay. Slightly thinner than the existing Custom Crash, the A Custom Fast Crash explodes with colour.